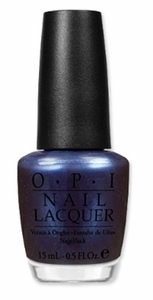 OPI Nail Polish, Into The Night, NLM34, .50 fl. oz. Vibrant deep blue nail color with subtle indigo/purple undertones and a shimmery, slight metallic finish.